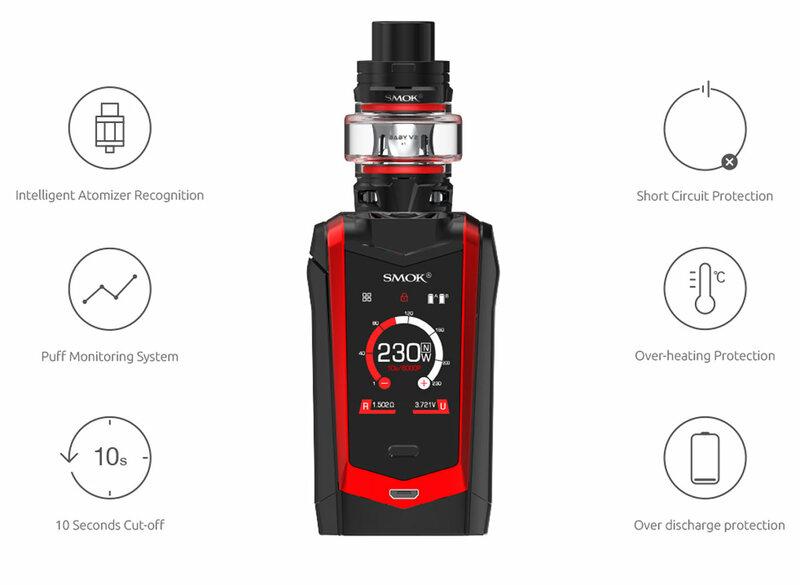 The ultimate box-mod for high VG vapers, SPECIES 230W box mod by SMOK has several compatible atomizers with varying levels of resistance. 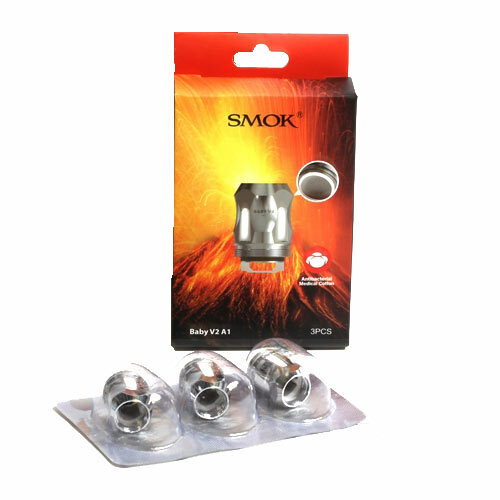 Choose from the included 0.17ohm or the .3ohm coils fitted for the included Baby V2 sub-ohm tank also included in this kit. 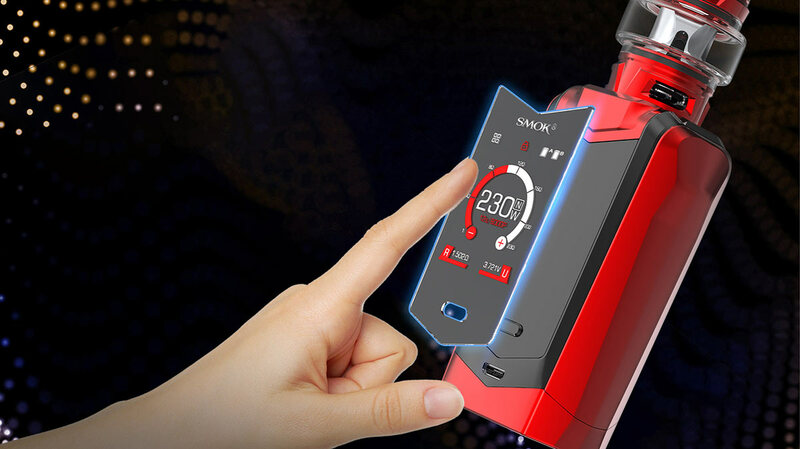 The SMOK Species has a large 1.45" OLED color touch screen and pairs with the Baby V2 tank. The Species is the new generation of the popular Alien design. Also similar to the Alien design, the mod requires 2 high amp 18650 batteries (NOT INCLUDED). 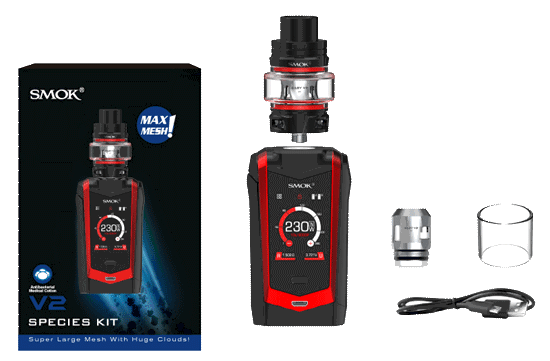 The Species can fire up to 230W with preheat wattage values and also temperature control mode. 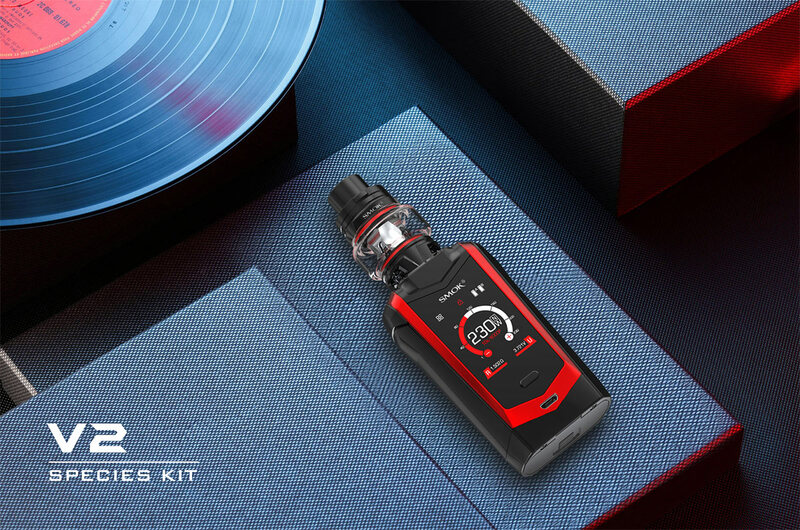 The TFV8 Baby V2 Sub ohm tank, features a 5ml maximum ejuice capacity, and a rotary fill top and triple bottom air slots. The new V2 Baby Tank features a new coil family, the A1 and A2 coils. Got this as soon as it was available, I wanted one of these when they first came out but it was pricey. Anyways, it may not be the newest thing out but you can't beat the quality of SMOK products, so far so good!